A better day than expected. Scattered wintry showers petered out by midday giving good sunny spells, but unfortunately, a weather front followed quickly – milder, with snow, summit cloud and strengthening westerly winds. The snowpack is generally shallow with good stability; crusty at low levels and on exposed areas at higher elevations. 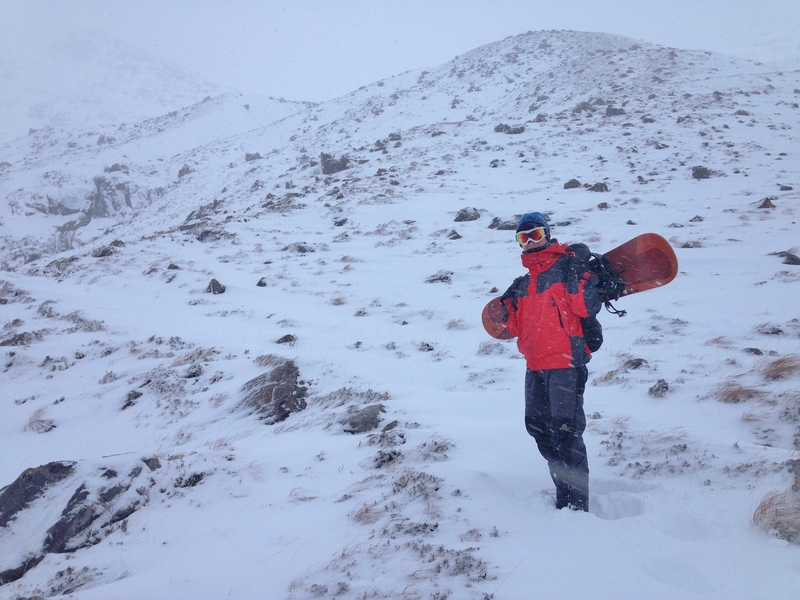 However, there are areas of deep fresh snow above 600m and some localised areas of soft windslab. 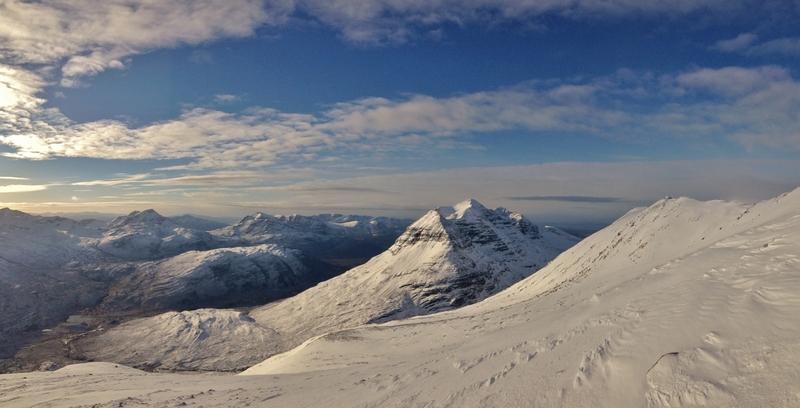 Liathach and beyond from the head of Coire an Laoigh, Beinn Eighe. Note the distant band of cloud – the approaching weak front and band of snow. 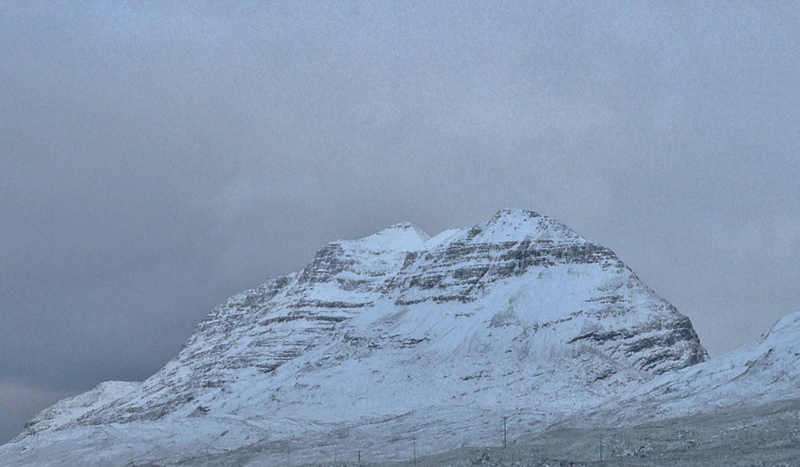 Liathach from Glen Torridon first thing this morning with an approaching snow shower behind. Scattered snow showers slowly eased through the morning. 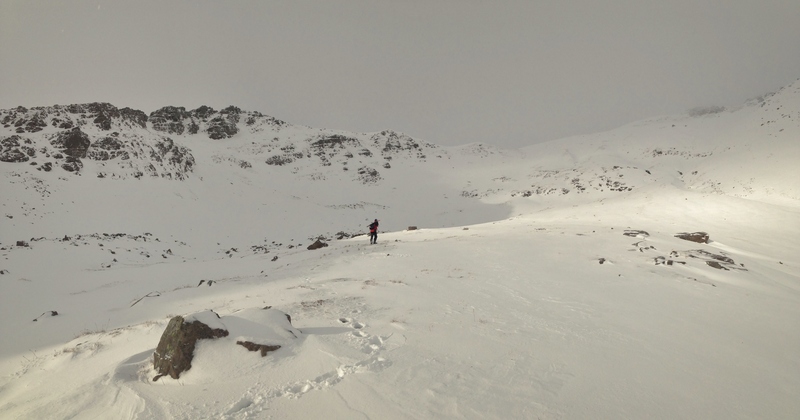 This guy passed me on the path heading into Coire an Laoigh. 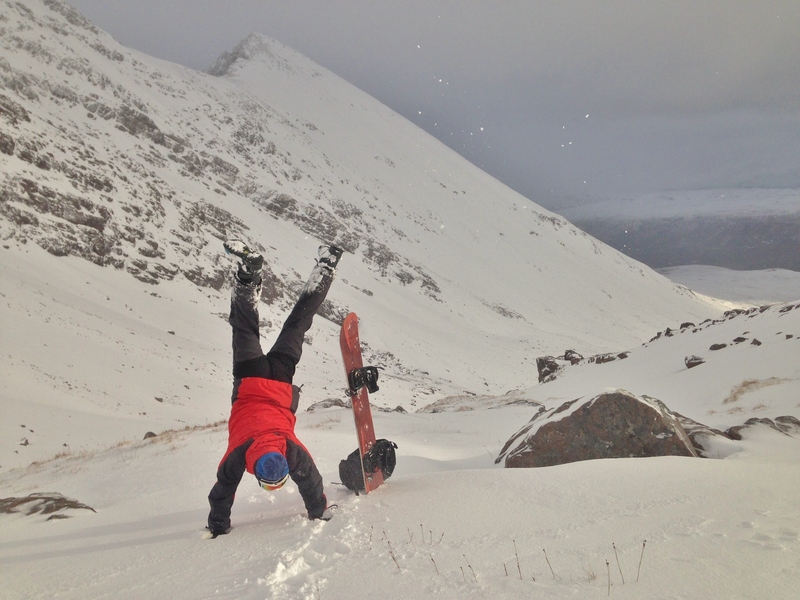 His goal to board off Beinn Eighe. So, thought I, maybe he can break trail…. But it turned out he was more interested in buggering about….. Good snow cover on Sgurr nan Fhir Duibhe behind, but more shallow than it looks. But given enough biscuits, he broke trail unfailingly – like a Duracell bunny…. Localised deep drifts on the headwall of Coire an Laoigh – good for the snowboard apparently…..
Great views looking out of the coire. And yes, the bunny made it back down with some impressive boarding…..
We think that Dad should buy Duracell Bunny a split board…biscuits for trail breaking however seems a very fair currency for youthful assistance! Stay Safe, go well and have fun. Yes, I was feeling a bit bad at times. But biscuits are cheaper than a split board. Fun – definitely! BTW, best Elton John and Bernie Taupin album.